Celebrating a decade of revolutionizing city-sized motoring, smart vehicles continue to provide limitless possibilities for exploring your city and beyond. Since efficiency has been in our DNA since the beginning, smart now features an all-electric lineup which maintains their iconic fun-to-drive nature. 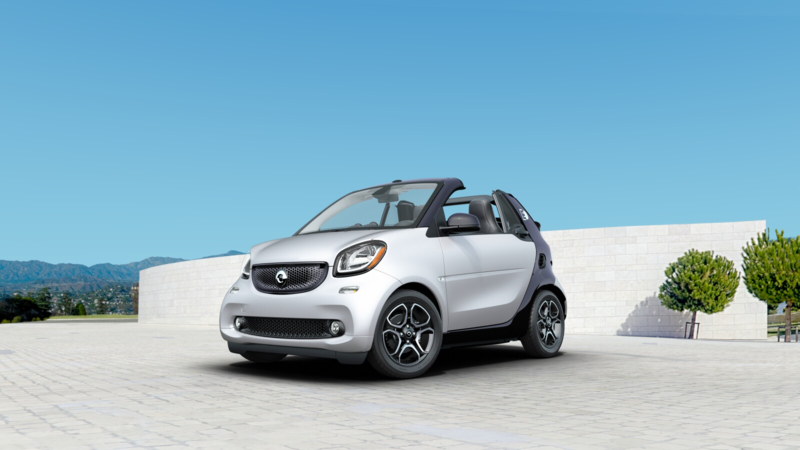 Since the smart fortwo is engineered with Mercedes-Benz, it’s held to the same exacting safety standards including a patented Tridion Safety Cell is made of high-strength steel. Designed to act small but feel big, smart vehicles make driving, turning, and parking easier than ever — making their unique handling abilities both fun and practical. Thanks to a best-in-class turning radius of 22.8 feet, you’ll experience unrivaled maneuverability in even the tightest spaces. 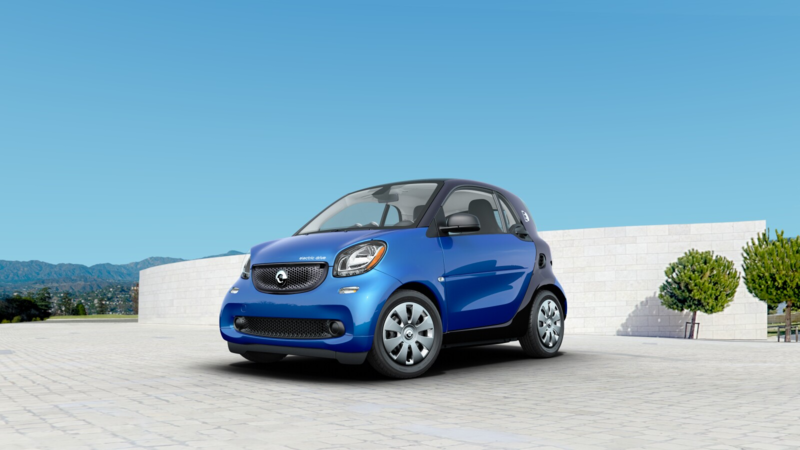 Designed specifically to excel in urban traffic conditions, smart fortwo offers a vehicle length of just 8.8 feet, a width of 5.5 feet, along with a Direct-Steer system with variable ratios. Unique handling abilities make driving a smart both fun and practical. 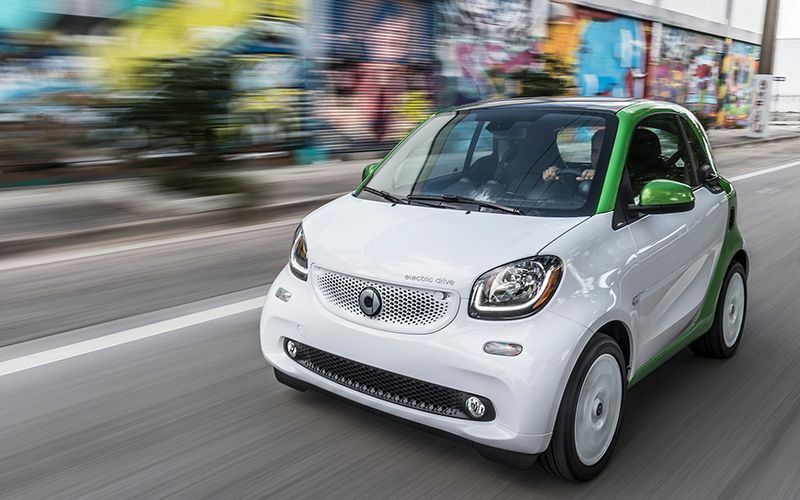 Engineered with Mercedes-Benz, the smart fortwo electric drive is held to exacting safety standards. Patented Tridion Safety Cell is composed of high-strength steel with an energy-absorbing crumple zone to minimize impact. It’s also equipped with Crosswind Assist to detect strong gusts of wind and anti-lock brakes to give you maximum control. Positioned in the vehicle’s underbody, the location of the battery provides increased protection in the event of a collision. 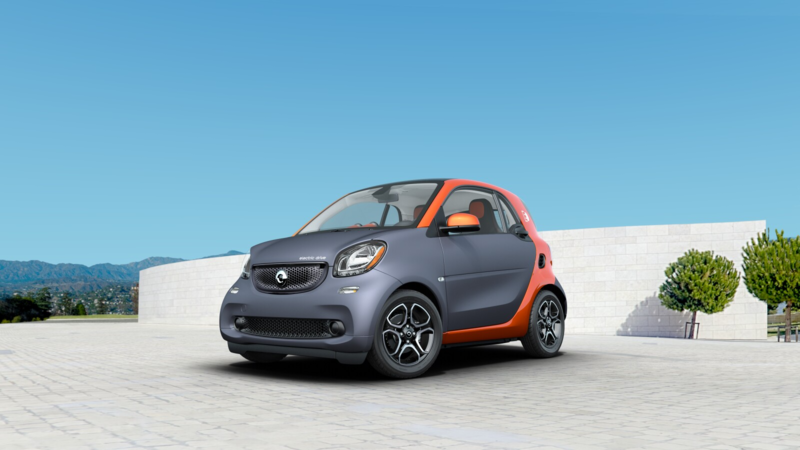 A model of efficiency and a joy to drive, the smart fortwo electric drive pure coupe offers a three-phase synchronous electric motor combined with smart’s nimble turning radius that makes it easy to zip from A to B. 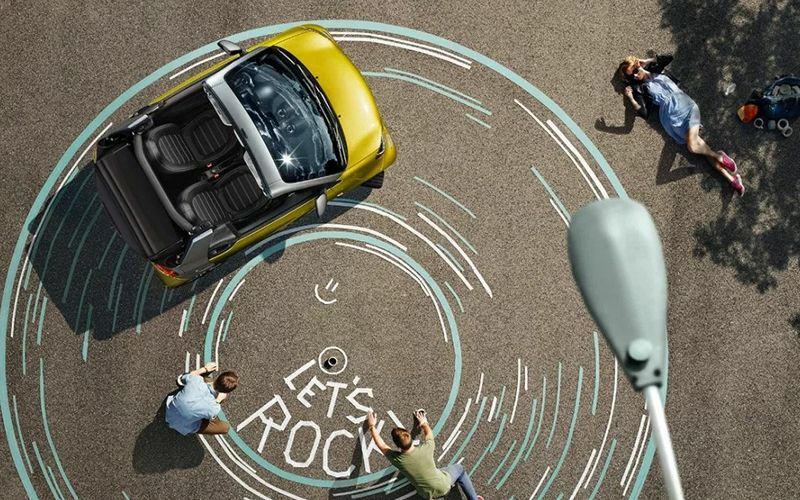 No detail is too small for the smart fortwo electric drive passion coupe. Featuring the same unique body style as the pure, additional touches found inside and out for a more comfortable ride along with a more customizable look help display your passion for driving. 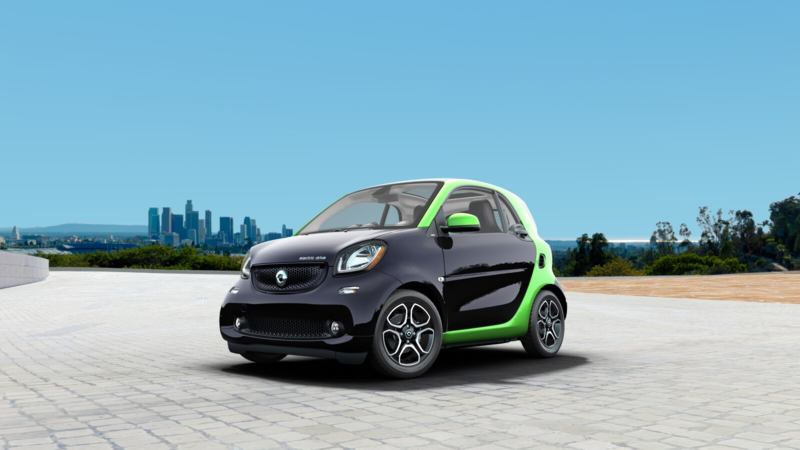 Stylish and chic, the smart prime coupe is unlike any other car with plenty of amenities and tech features that combine to make it the premier electric car on the road. Open or closed in 12 seconds flat, the smart soft top fully converts with the flick of a switch. 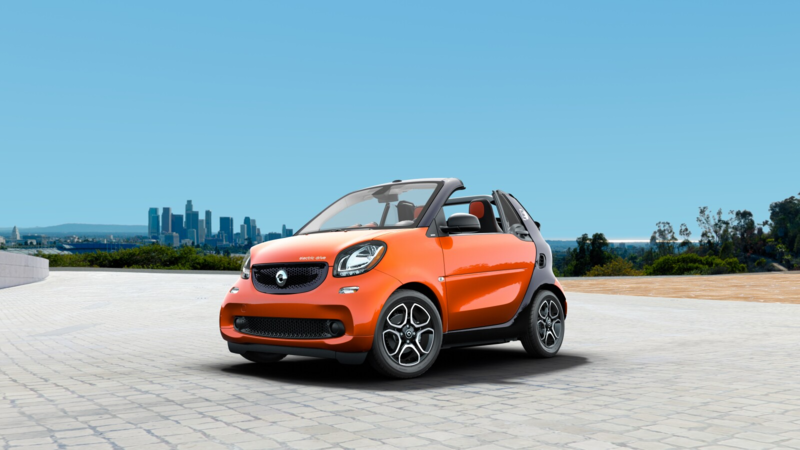 A true open-top driving experience has never been more stylish or efficient thanks to 122 combined MPGe and 57 miles of all-electric range offered on the smart passion cabrio. Luxurious inside and eye-catching on the outside, the smart fortwo electric drive prime cabrio defies convention and brings outstanding efficiency along with top-down driving thrills. Is there a federal tax credit I can get for buying electric? Yes. When you buy a smart electric drive, you’d get a tax credit equal to your tax bill, up to $7,500. So, if you pay $5,000 in taxes, you’ll get a $5,000 credit. If you pay $7,500 or more in taxes, you’ll get the full $7,500***. Keep in mind that the government may phase this out as electric cars become more popular, so the time to save is now. For more details, see your certified tax professional or read about the Plug-In Electric Drive Vehicle Credit from the IRS. Are there local incentives? Where can I find them? Several states offer their own incentives***. For example, in California, electric cars get unlimited access to the HOV lane, which is great in traffic. In Illinois, you can earn a rebate of up to $4,000. To see your state’s incentives, visit https://www.afdc.energy.gov/laws/state. What kind of warranty is included with a smart electric drive? You’re covered for defects in material and workmanship for 48-months or 50,000 miles (whichever comes first). However, your electric battery has an 8-year warranty of its own. Can I charge at home using a standard household outlet? Yes, although it’s worth noting that a standard household outlet is a 120-volt outlet, whereas a charging station has a 240-volt outlet, so it would take a fair amount longer. But, it’s very easy to have a 240-volt charging station installed in your home, and our dealers can help you have that arranged. Where can I find public charging stations? Are there enough of them? There are thousands of charge stations throughout the US, and more are popping up, seemingly every day. The best way to find them is with an app like PlugShare or NextCharge (two of our favorites). These apps show you all of the stations near you. They even let you add new ones and review them too. To go from 0% to 100%, it takes about 2½ hours using a 240-volt charger, which is much faster than our previous model, and one of the fastest Level 2 charge times of any electric vehicle on the market. On a 120-volt charger, it would take considerably longer, up to 21 hours. Do electric cars perform worse than a gas-powered car? No! In many ways, they actually perform better. Unlike gas cars, electric cars deliver power to your wheels instantly with no lag time, immediately as you step on the pedal. The end result is greater torque and acceleration. On top of that, they’re exceptionally smooth. There’s no gear shift and there’s no shaking when at idle. What is the range of the smart electric drive? The range is 58 miles, as calculated by the EPA. Since the average American drives 29.8 miles per day (according to AAA), this is more than enough to get you where you need to go. It’s also worth noting that the actual range of your car depends on a number of factors like driving behavior, outside temperature, speed, traffic, etc. ***The incentive referenced does not constitute tax or legal advice. To confirm the vehicle tax benefits for which you may be eligible, consult with a tax professional prior to purchase. The incentive is not within smart’s control, is subject to change without notice, and must be claimed by the lessor or purchaser of the vehicle.